Talk to the experts at Linton Hall Realtors for all your property management needs. Linton Hall Realtors is partnered with Management Pros to bring you the highest quality property management services you’ll find in the northern Virginia area, or anywhere. There is no obligation at all. Just complete the form and an expert from Linton Hall Realtors will perform the deep dive analysis of your needs and provide a property management quote. With the right property management company standing behind you, get the benefit of freeing yourself from the mundane and sometimes complicated tasks involved with managing tenants. The Ashley Leigh Team at Linton Hall Realtors helped us when it was most important. We had consulted with two other agents and just didn't feel like they knew the market. We sold our house for what we wanted, and the process was smooth and professional. Thanks! We were shocked to find out how wrong the big automated online estimates were. 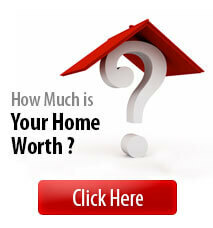 When we met with Linton Hall Realtors, we found out that our home was worth 20% more than what we expected.